Growing up in a family of 8 kids, there were few times of year that created a household buzz. I mean with that many kids you can safely assume that the house was always abuzz. But with regards to occasions that cause a special buzz, there was Christmas, Easter, and Back to School shopping. Despite having the same parents, we ALL had different body types so mom carried notes for everyone so she could keep track of who had which fitting issue. Among my own 3 girls, all of whom hated their mandatory school uniforms, they always pushed the envelope to make the pleated skirts and headbands as personally fashionable as possible. It was with those times in mind that In Stitches established its relationship with Dennis School Uniforms, roughly 9 back to school seasons ago. Dennis uniforms is one of the largest school uniform retailers in the SF Bay Area and they have several locations throughout. Since then we have fostered relationships with other uniform stores and countless families. As back to school shopping season is approaching, feel free to shop with confidence. Whether your kid is short and stocky or tall and slim (we can possibly add length), or anywhere in between, we can help you conquer most fitting and fashion circumstances. If you scroll down, you'll see we have provided a list of Bay Area Uniform Retailers and will keep you posted with any helpful any information about their sales and services. Once you’re finished shopping, take advantage of our annual back to school sale where you’ll save 20% off of our regular alterations prices. 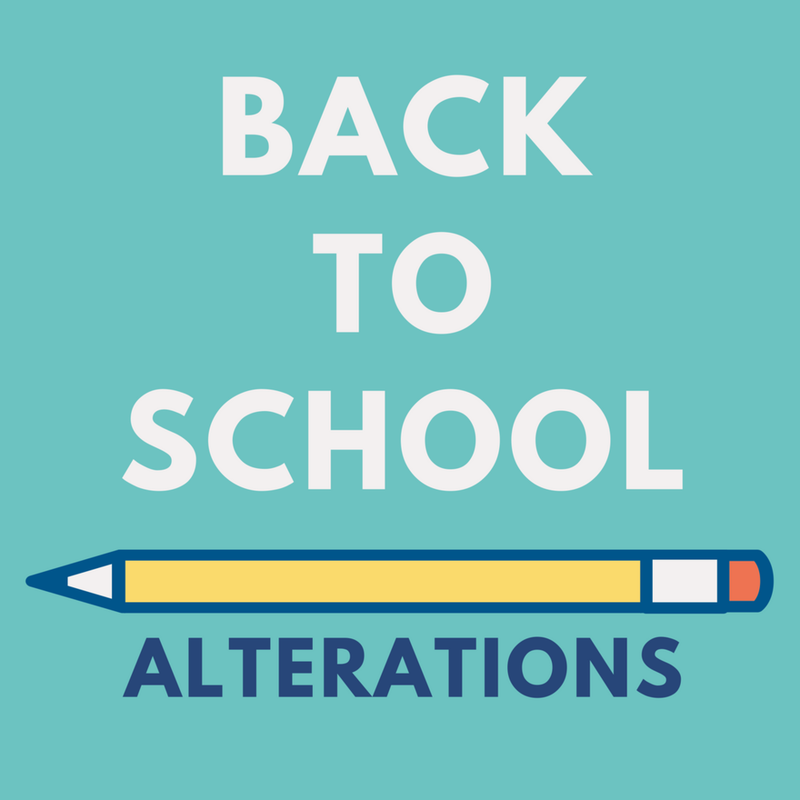 Give us a call and book your back to school alterations appointment today! Hang on in there moms. We're halfway through the summer.